A trek that visits some forgotten corners of Los Glaciares offering great viewpoints of the icecap, with challenging sections like the battering climb through the aptly named Viento (windy) Pass, the Huemul Pass ascent to a campsite high above the sparkling Lake Viedma and the zipline crossing of the River Tunel. On arrival at El Calafate Airport you will take a minibus directly to El Chalten on a 2.5 hour drive along the Patagonian steppe. 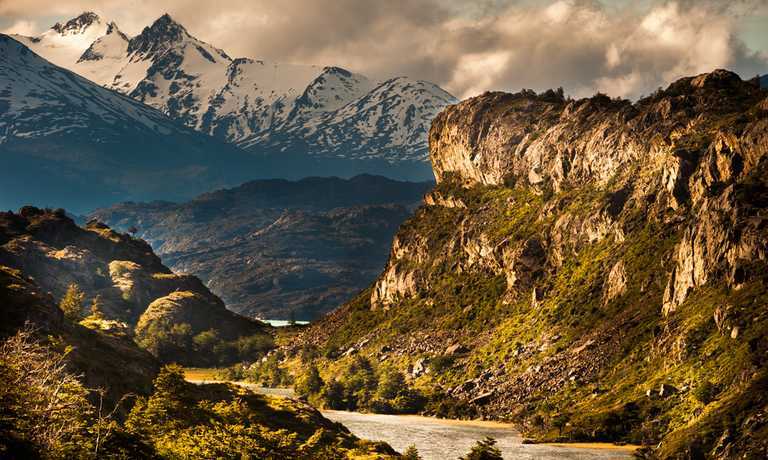 Once the bus turns to the west along the huge Viedma lake you will have your first spectacular views of the mountains and glaciers. At the bus station, your driver will be waiting to take you to your hotel. This evening you will have time to meet your guide for a briefing on the itinerary, and to ask any questions you may have. An early departure from El Chalten as you have 6 hours trekking through the forest until you reach Laguna Toro campsite. This hike passes through beautiful meadows whilst enjoying amazing views of the impressive Patagonian spires of Fitz Roy and Cerro Torre. The Toro campsite is located at the edge of the forest, thus providing good protection from the wind. Once you are ready in the morning, break camp and begin the trek towards the day's first challenge: the crossing of the River Tunel via a zip line. After this spectacular crossing, begin the uphill trek towards the Viento Pass, a privileged viewing point of the Southern Ice Field. The name of this pass means windy in Spanish, so expect to feel the full-force of these notorious gales. Once over and onto the western slopes of the mountain, you begin to descend towards the Paso del Viento refuge, an ideal resting place with water running at the door of the hut. 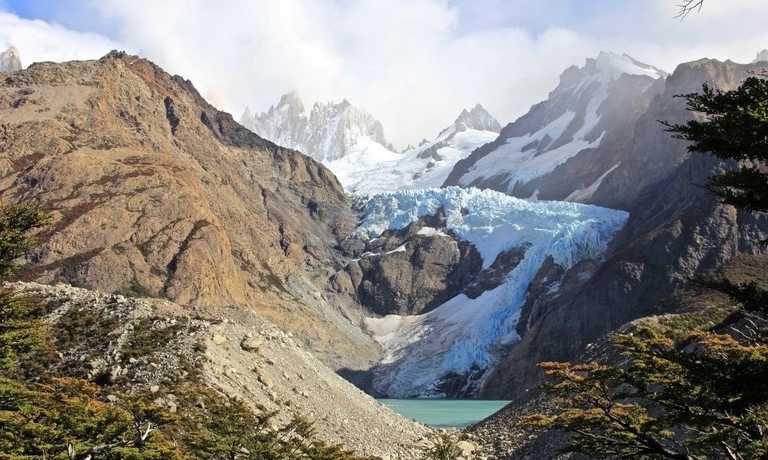 Today follow the trail which takes you alongside the Viedma glacier. You will always see the glacier from above, thus giving you spectacular views along the way. During the trek, pass by some sparkling mountain lakes and after lunch, the hard work awaits you as you trek up to the Huemul Pass. After crossing this high-point, descend for only 20 minutes until reaching the final sleeping place in the mountains, with incredible views over Viedma Lake. After taking in the Patagonian sunrise from the campsite, begin a steep descent of almost 600 metres, until reaching the shore of the lake. Hike down the road and drive or hike back into El Chalten. Once back in El Chalten the programme ends. NOTE: Trekkers are expected to carry their personal gear, including sleeping bag and mats. This trip can run as a group trip, with prices starting from $1,245 per person for a complete group. If you are looking to join a group or you are a solo traveller we will help to form likeminded groups of travellers. Please let us know your travel plans. Price of $1245 USD per person is indicative based on a group of 2 people in a shared hostel room.The price for a group of 4 people is $1145 USD per person, for 3 people is $1245 USD per person. Upgrades to a private room with breakfast are also available.